I was just about to began my class at Seton Hall's grad school of communications when the phone rang. It was WCBS-TV's Late News Assignment Editor and it was about 6:45 PM when she called. 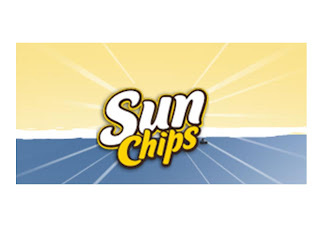 She wanted to know if I could go to their studios "right away" to do a segment on the announcement by Frito-Lay that they were eliminating their biodegradable packaging on five of their six SunChips flavors because consumers felt the bag was too "noisy". I am not kidding. It seems that what they refer to as their compostable bag which is environmentally friendly actually bothered people because it made so much noise when it was crinkled. I told CBS that I could do the segment, but that I had a class to teach and couldn't go to their studios on West 57th Street in time for them to do the taping and get it edited in time for the Late News that night. When asked if I would be willing to do it from my classroom at 8:00, I naturally said I could. And, that's what happened! My class got to see the whole interview and now they think of me as a celebrity! More importantly, this issue got a lot of attention, especially from a branding standpoint. It seems some 44,000 folks complained about the noisy bags on Facebook. The company said it was not the Facebook complaints but the great number of calls, letters and e-mails they received that made them decide to take most of those bags off the market. You see, even it you are trying to do a good thing for your brand's image if something like the packaging (which has nothing to do with the main benefit of the product) can create tarnishment, you must protect the brand. The decision was correct and it didn't hurt the company to issue a press release announcing that they will be working on a "quieter bag" to replace the one they have obviously had a lot of problems with from a marketing standpoint. Amazing story, but true nevertheless.